Cardio Trek - Toronto Personal Trainer: What is the Best Quiver? I saw on one of your older posts that you don't like quivers. Can you explain more about why you don't like them? Lets say I really want a quiver anyway. Which ones would you recommend? I am not completely against quivers. I still use them for transportation purposes, but I will list why I don't like them. #1. Having to reach awkwardly behind your back to reach arrows that move around in the quiver. If it is a pain to reach, then it really isn't very good at being a quiver. Hence why some archers prefer back quivers that are easier to access or use hip quivers. #2. Arrows rattle easily and spook deer / turkeys / small game. So a loose quiver means your arrows rattle a lot. 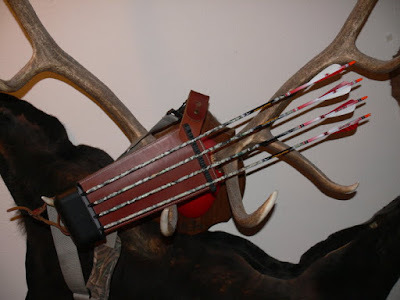 A bow quiver however or a quiver with fixed spots for individual arrows solves the problem of rattling. Another old archers' trick is to roll up some fur and stick it lengthwise into the quiver and then add your arrows to it, this prevents them from rattling against each other. #3. Arrows fall out of loose back quivers whenever you bend over to pick something up. #4. Arrows fall out of loose hip quivers whenever you are jogging, walking too fast, or bend over. #5. 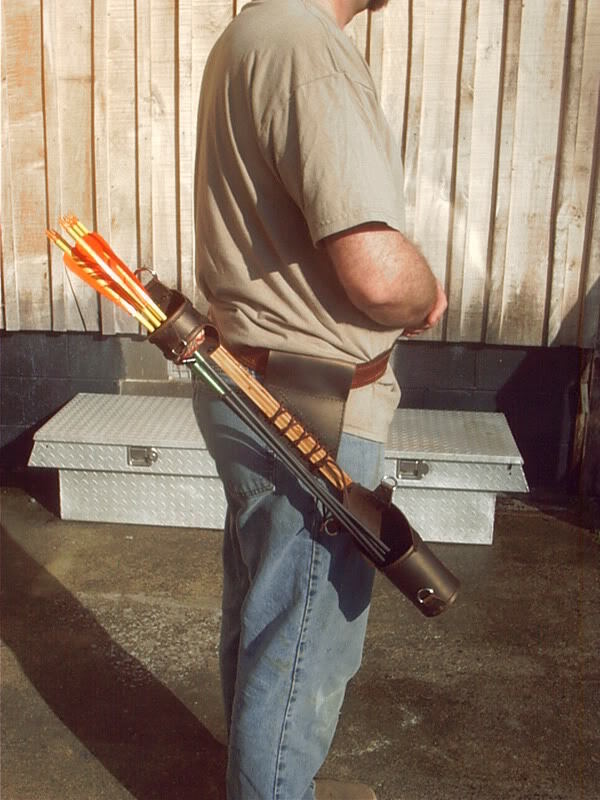 Ground quivers are handy to have, but are sometimes bulky depending on the design. On a 3D range you might as well leave that behind or get an "arrow caddy" instead. Or do what I do, carry the arrows in your bow hand and learn how to shoot that way. 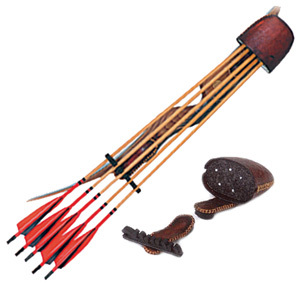 Below: A Bow Quiver that attaches to the side of the bow. 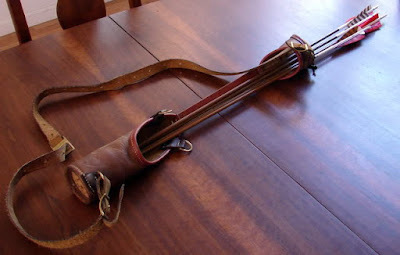 Below: A Traditional Floppy Back Quiver - Not my favourite. Below: A Back Quiver that allows more ease of access. 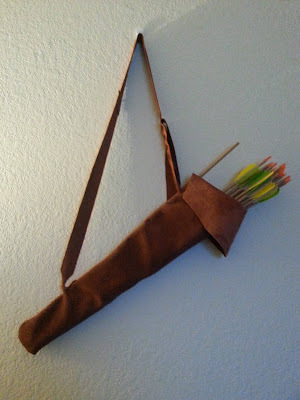 Below: A Side Quiver with more easy access. Below: A side quiver with fixed arrow slots so they don't rattle or fall out. The one below also allows ease of access.